The Ohio State University LASER (Latino and Latin American Space for Enrichment and Research) is a total mentoring system for Latinos from high school through college and professional schools. LASER seeks to open doors and to empower the next generation of innovation and creativity produced by Latinos of the Americas. LASER offers a mentorship program, provides internship opportunities and supports graduate students as LASER/ Humanities In-Residence Fellows. Our mission is to promote state-of- the-art research and exchange in the field of Latino and Latin American studies. With an eye toward building bridges internationally, LASER incorporates the research focused on Latinos in the US as it interfaces with the social, cultural and historical realities of those inhabiting the Americas. LASER was awarded Ohio State’s prestigious University Emerging Community Engagement Award and the Columbus City Council Award. Challenge Latino students at various stages of their academics, including internships and post-secondary college course enrollment. 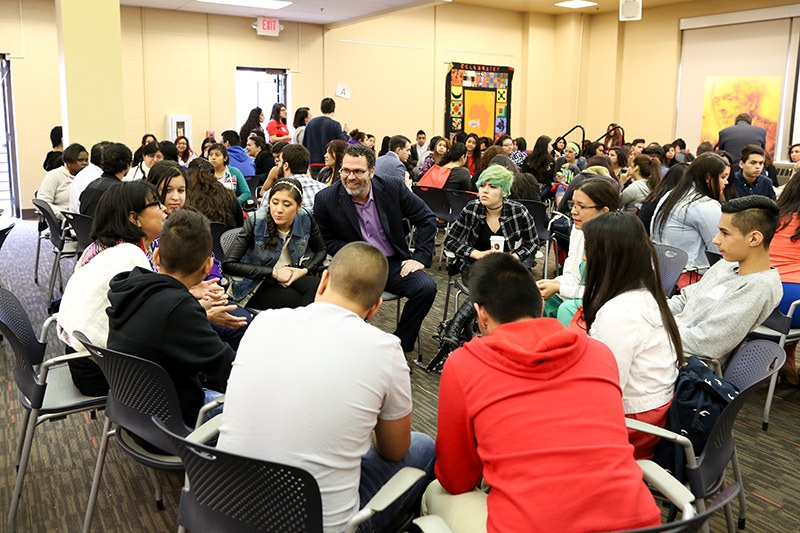 LASER’s annual Latino Role Models Day brings more than 150 Latino high school students to Ohio State to engage with role models from the university and the community. LASER seeks to open doors and to empower the next generation of innovation and creativity produced by Latinos of the Americas. LASER Ambassadors build bridges with the community and incoming Latino undergraduate students. The LASER Mentors serve as academic role models as well as bridge builders between Latinos in high school, the university and LASER partnership campuses, Otterbein University and Ohio Wesleyan University, among others. They also serve as academic role models between graduate and professional students and Latino undergraduates. LASER helps expand the presence of Latinos in higher education and enrich the undergraduate research experience in college and supports students in their professional development, as they apply to and enroll in professional and graduate school programs.